Traditionally, the Hmong New Year had many significant or symbolic meanings. In Hmong culture, the New Year is the only large-scale event put together to celebrate the annual crop harvest, to wash away any bad omens or illness throughout the old year, and to renew the family spirits. As the New Year is welcomed in, it is a time when friends and relatives put down their farm tools to come together to feast and celebrate the good harvest and their hard work. In the old days, the celebration could last for several weeks as men and women came to meet each other, perform ball tossing, sing folk songs, and watch bull fights. In Laos, young men and women worked very hard throughout the planting season with hardly a chance to socialize, so the New Year served as an opportunity for them to get to know each other, and, in some cases, to choose the right partner. The New Year event is held very close to the middle or end of December each year, and it typically lasted between 10 days and one month. Here in America, the Hmong New Year has changed quite a bit from its original form in Laos. The changing seasons, particularly winter, make it difficult for people to travel during the month of December. Therefore, the date of the celebration is usually moved to October or November to allow for safe travels and somewhat tolerable weather condition for the attendees. 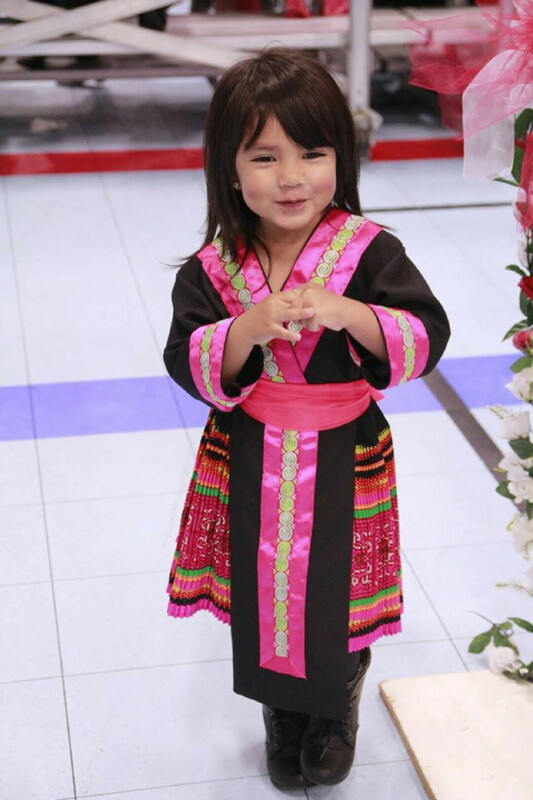 When celebrating the New Year, adolescent men and women dress in traditional Hmong clothes. Their elaborate costumes are hand-made. Women dress modestly in skirts that fall below the knees and sleeves that cover their arms past the elbow. In addition, women cover their hair with scarves, hats, or headdresses. Men follow the modesty rule as well. Their shirts are less decorated than the women’s, and their sleeves are typically long. The outfits are generally worn as the participants play a ball tossing game. Ball tossing, known as pov pob, is meant to be a socialization game in which members of different clans toss a cloth ball back and forth. In the culture, girls can toss the ball to other boys and girls; however, boys cannot toss the ball with other boys. If a player misses or drops a ball, ornaments are given to the opposite player in the pair. At the Hmong New Year Celebration in Eau Claire, there are traditional dances performed by multiple dance teams as well as a singing competition. The two days of celebration are full of entertaining activities, including a Hmong fashion show, the playing of traditional musical instruments, and several vendor booths selling souvenirs and foods. On Saturday night, live entertainment is provided for adults. 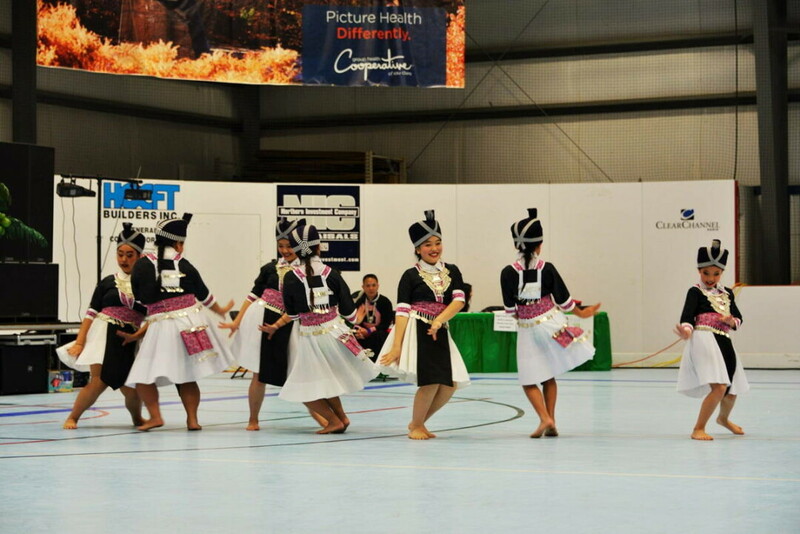 The Hmong New Year will be Saturday and Sunday, Nov. 12-13, at the Indoor Sports Center, 3456 Craig Road, Eau Claire. Doors open at 8am and close at 5pm. Admission is $3 and free for senior citizens and kids under 4 feet tall. Family projects involving learning, schools, science, technology, volunteering and clubs in the Chippewa Valley.